Mobile - How can made voice call on English Ninjas? 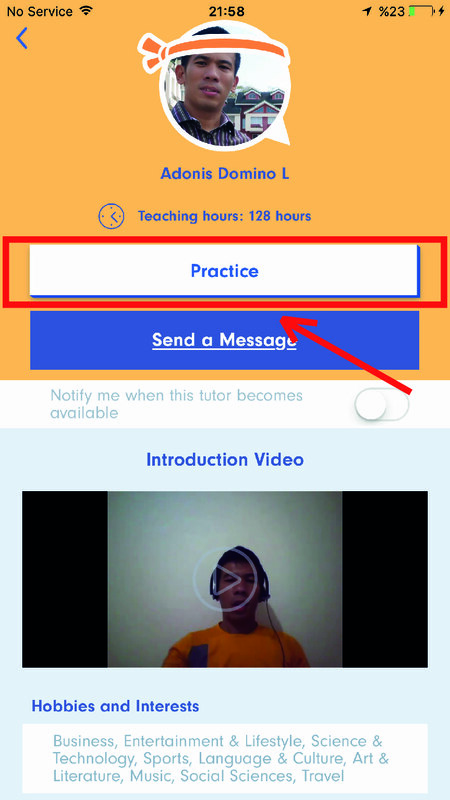 The English Ninjas platform offers both video and audio connection options. 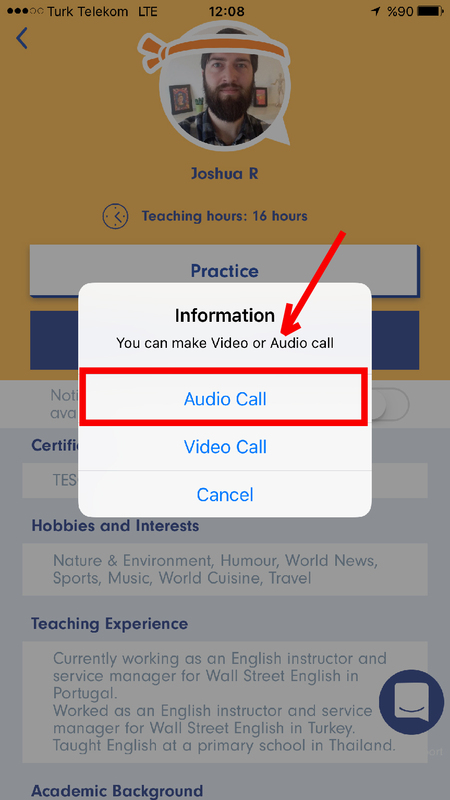 If yo do not wish to use your camera, you can choose to start an audio-only call. We also recommend users with slow internet connection to try audio-only sessions. There are two different methods to establish an audio-only connection. 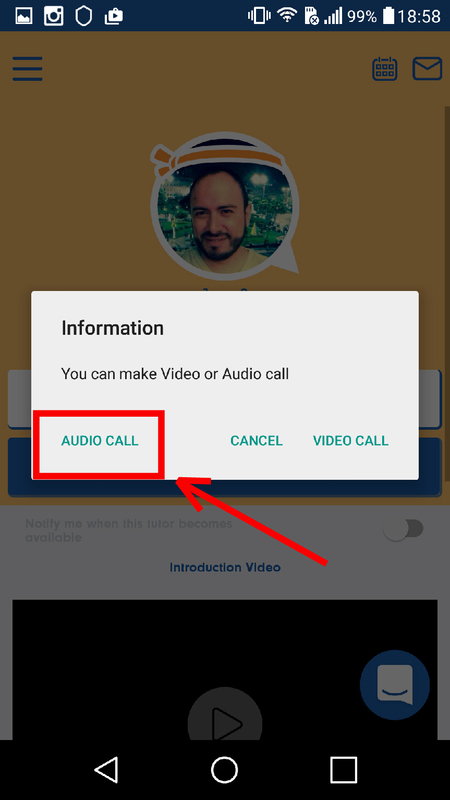 Your first option is to select the audio call option before initiating a session. 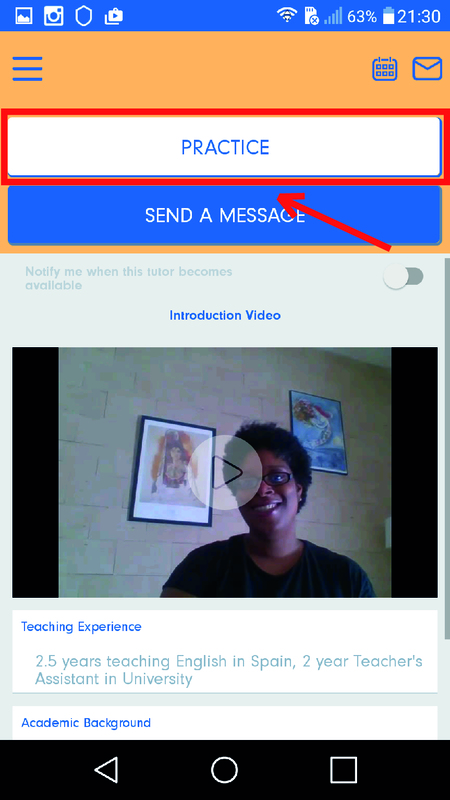 Your second option is to turn off your camera during the session.